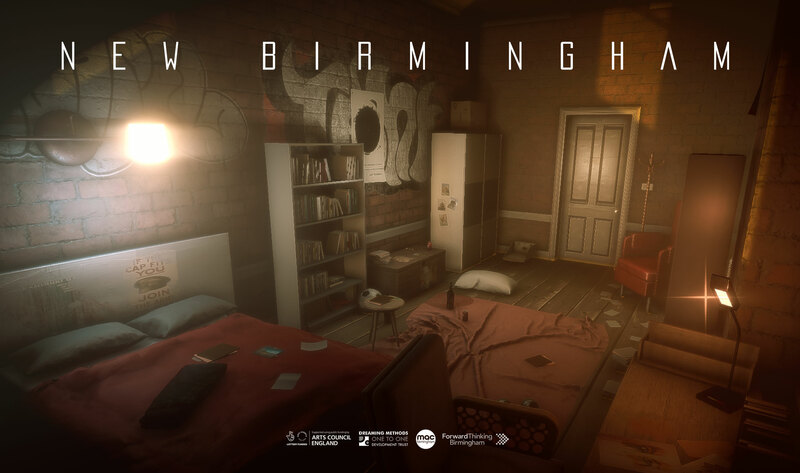 Written and performed by Carl Sealeaf and Jasmine Gardosi, NEW BIRMINGHAM is a dystopian story told in three ways – a work of digital fiction, a physical installation and a website. Set in Birmingham in 2053, a series of spoken word poems/dialogue explore mental health issues told through Craig, a young carer, and Charlie who has run away from home. Launched Monday 6th November 2017, 7pm at The GAP in Balsall Heath, Birmingham; the short digital fiction experience is also available for download as a prototype.